All stakeholders are strongly encouraged to submit their thoughts, ideas and contributions for consideration by 28 February 2016. 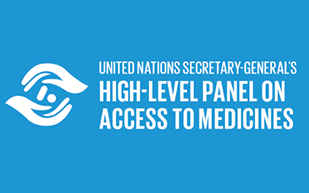 The High-Level Panel’s Expert Advisory Group will meet on 1 March 2016 to select a short list of contributions, whose authors will be invited to engage with the Panel during a Hearing, as well as to engage with stakeholders at two “Global Dialogues” in London and Johannesburg in March. We look forward to receiving more ideas, thoughts and contributions and engaging with stakeholders on how better to promote innovation and access to improve the health and wellbeing of everyone as envisaged by Sustainable Development Goal 3. More information is available on the Panel’s website.